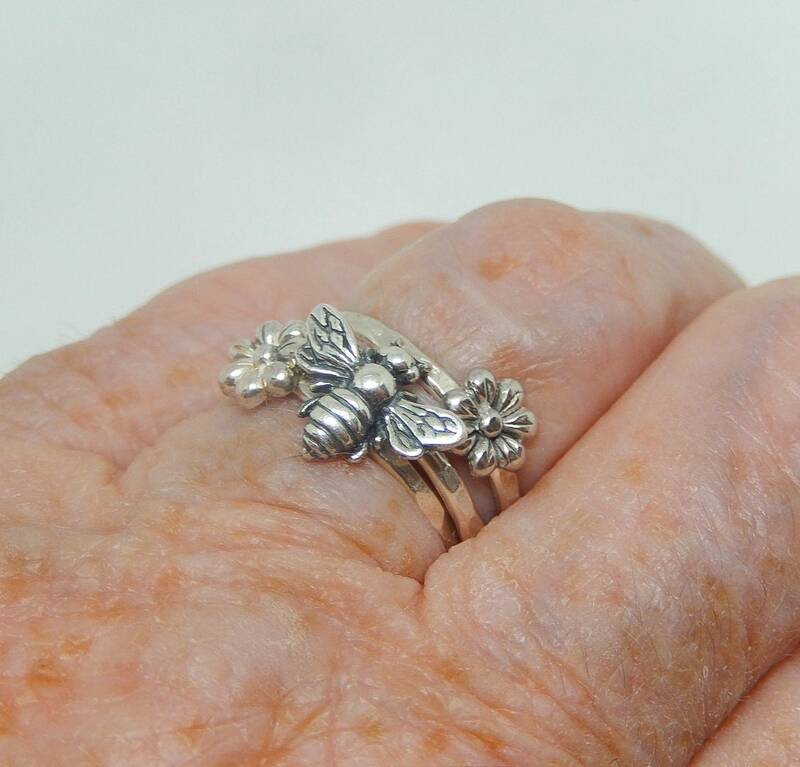 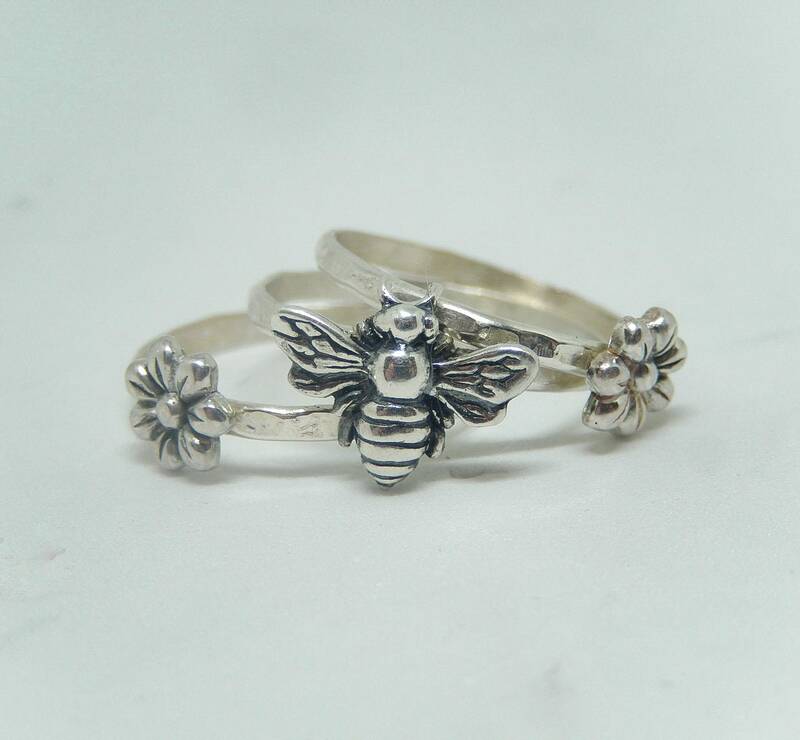 Created in our studio, this is a beautiful hammered sterling silver ring set with a silver Honey Bee and 2 small Sterling flowers. 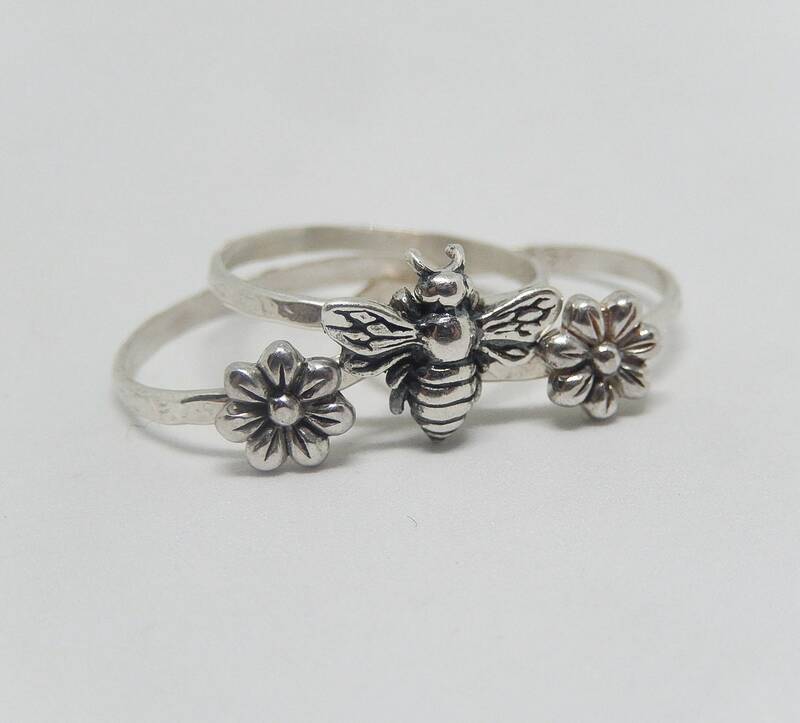 A great gift for someone who loves bees, flowers ,or working in the garden. 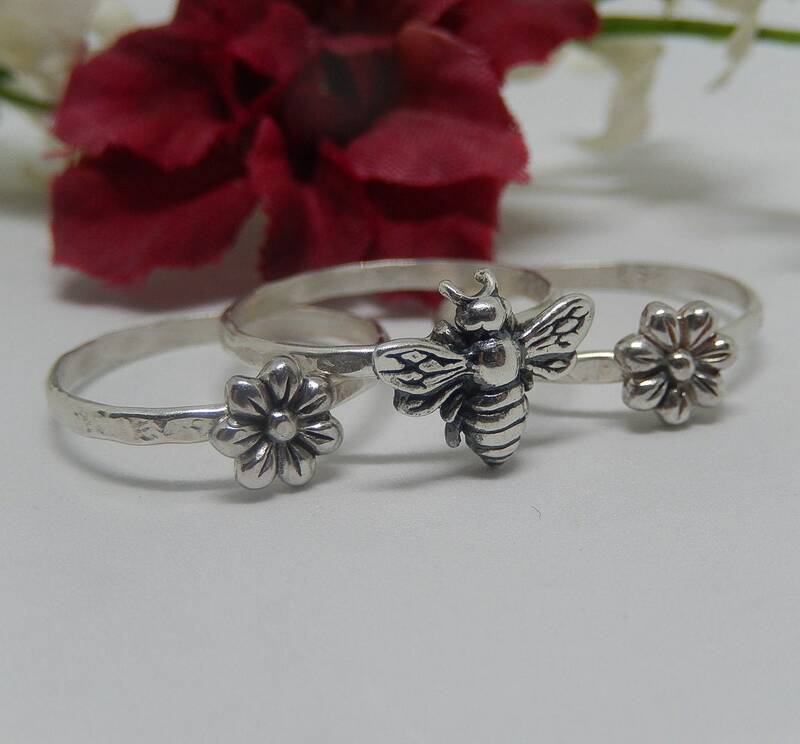 This set is a size 6, but it's available in any size from 4 to 9.